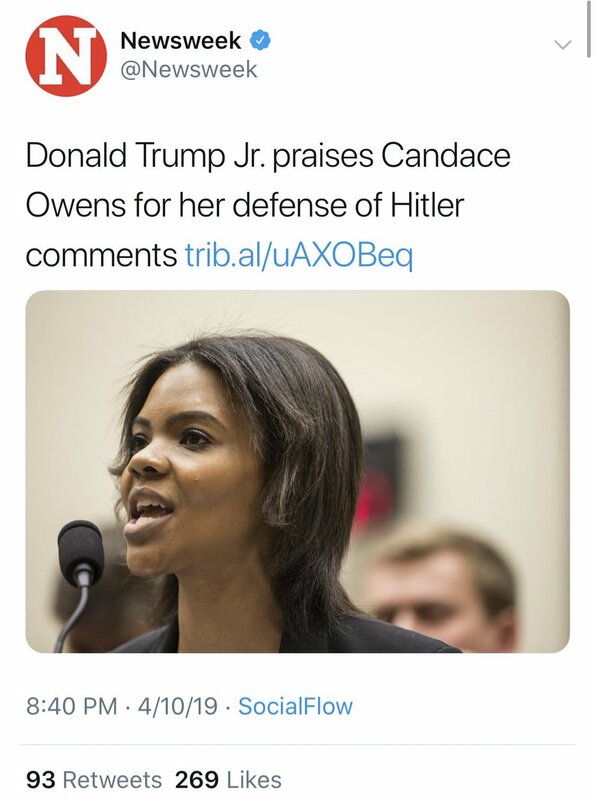 No @RealCandaceO did not defend Hitler and @DonaldJTrumpJr certainly did not defend her defending Hitler you vile liars @Newsweek. Newsweek is the epitome of fake news and should be shamed by everyone with a pulse until they change their ways or close their doors for good. I don’t want to see one more journalist play dumb about why the public doesn’t trust them. 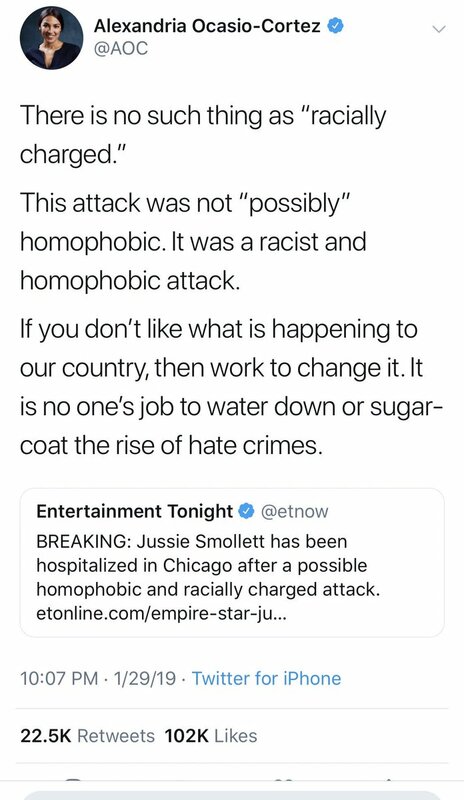 If Jussie Smollett, the 2016 election, Russian Collusion, Covington Catholic & the daily barrage of lies haven’t convinced you, I can’t help you. Journalism is dying because of fake news. It makes a lot more sense now why @Newsweek was sold for only $1. 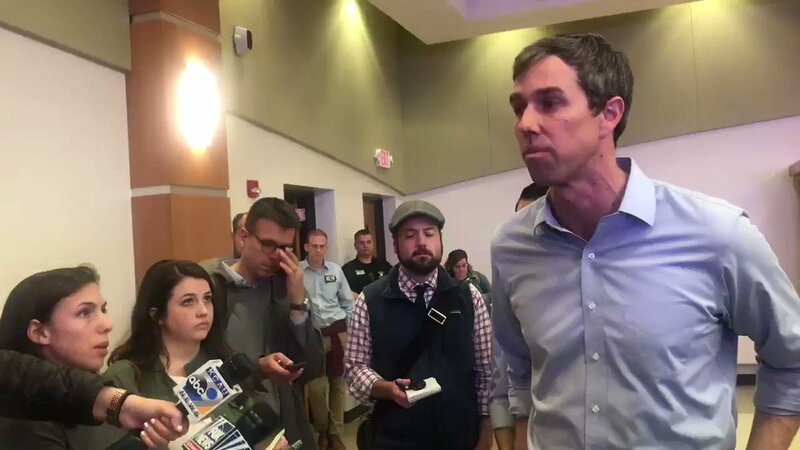 This clip displays incredible dishonest gymnastics from @BetoORourke so let me break it down for you in this thread. The Nazi Germany part shouldn’t even have to be broken down because it’s so entirely despicable but I have to note how entirely devaluing his rhetoric is of the suffering and death Jews experienced at the hands of Nazis. It trivializes it by comparing it to political differences. Now about @BetoORourke’s claim that there is a Muslim ban. There is not. Around 90% of the global Muslim population is free to travel here. The travel ban is instituted based on security threats that even Obama’s admin flagged as threats. 2 aren’t even majority Muslim countries. Absolute corruption from a Cook County prosecutor. Is anyone surprised? Kim Foxx is making a mockery of justice this morning. 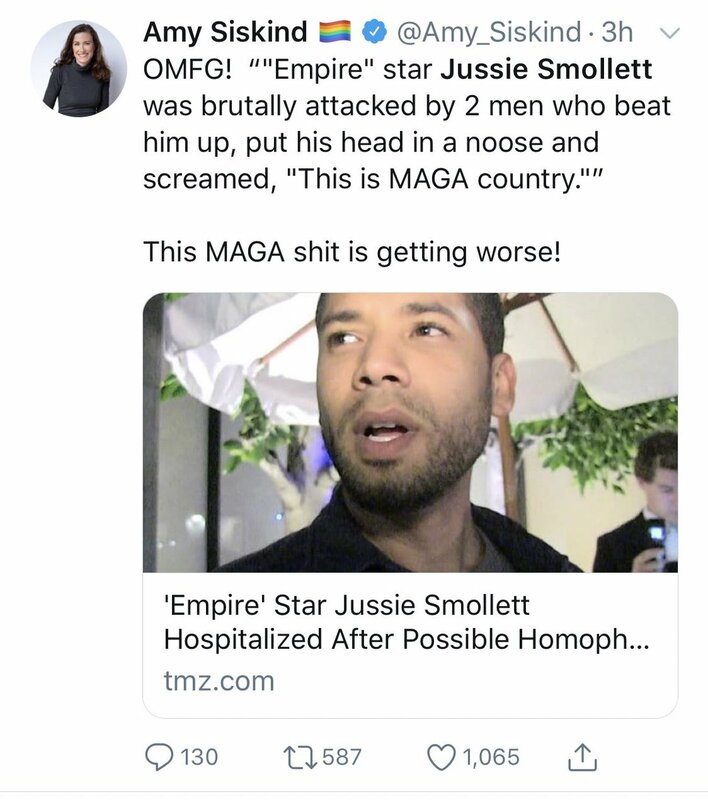 The evidence against Jussie Smollett is incredible and he could very well still face federal charges. 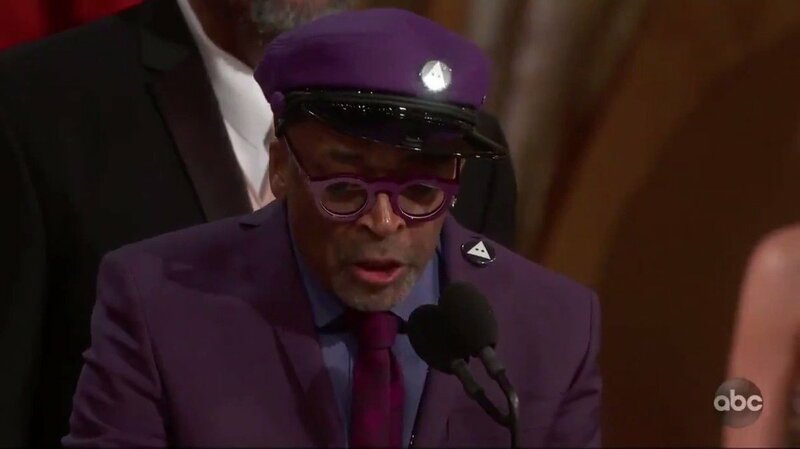 The police union is going to be very angry today. 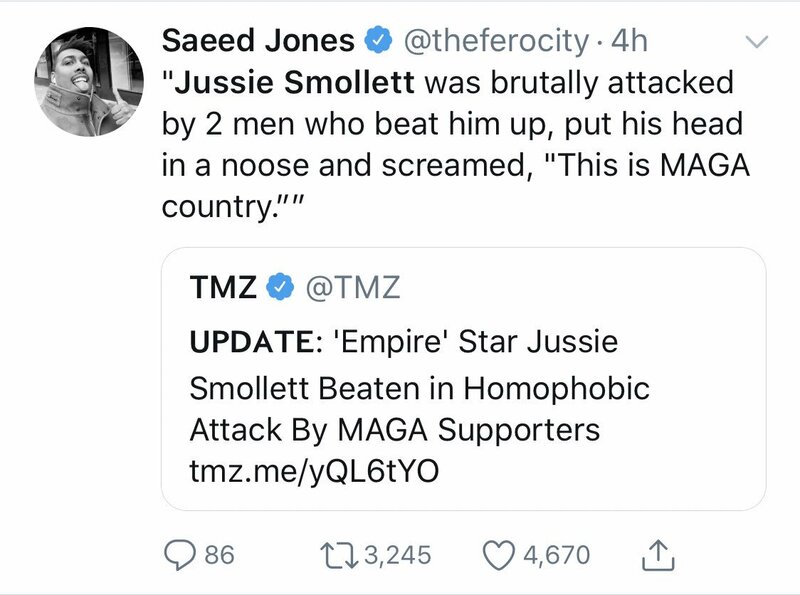 Don’t forget that Jussie Smollett was fully willing to send 2 innocent men to prison for decades before it was revealed that he had orchestrated a hoax hate crime. That’s a level of sociopathic evil that should concern everyone. The man needs real consequences for his hoax. 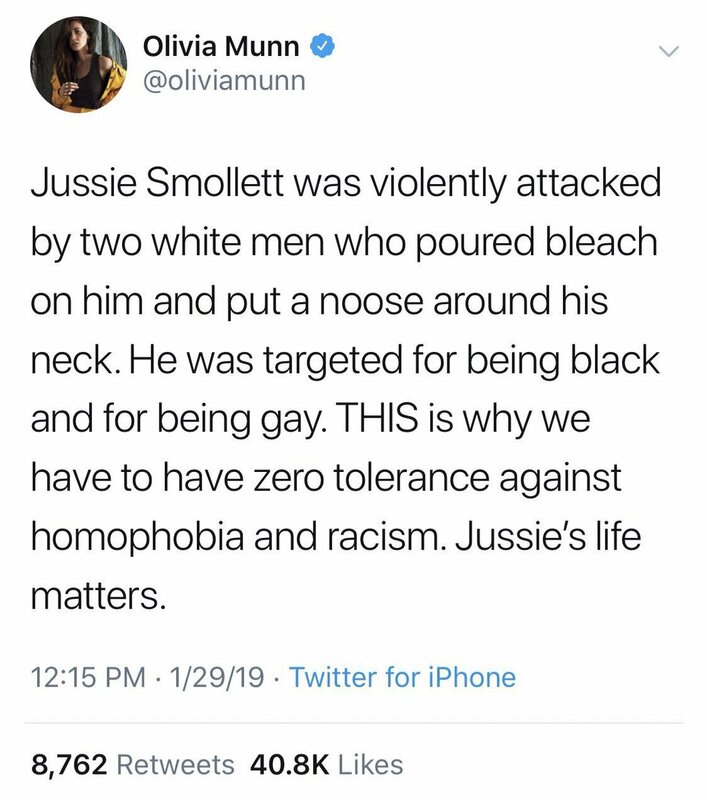 Shockingly even @ChicagosMayor, a Democrat, is coming out swinging against Jussie Smollett by saying that the decision to drop all charges against Jussie are a "whitewash of justice" and there’s a different "set of rules for the powerful and influential... and it’s wrong." • Elected Democrats look like fools. It’s amazing how @CNN has been destroyed this year. They created Michael Avenatti. They led the "Resistance" by amplifying the Russian collusion hoax. 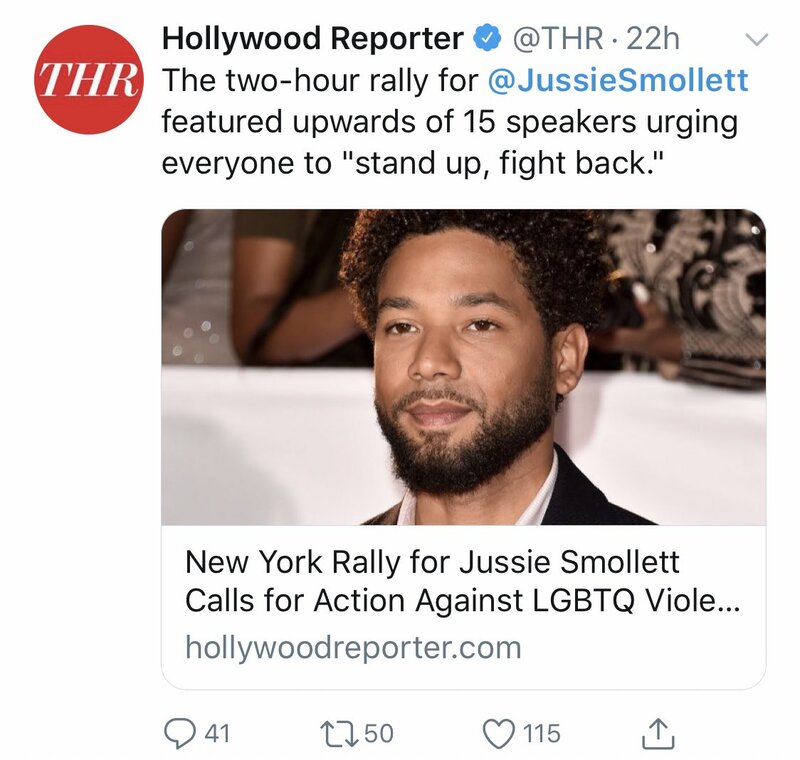 They ran the Smollett hoax, Covington hoax & smears against Kavanaugh. Anyone taking them seriously needs their head examined. 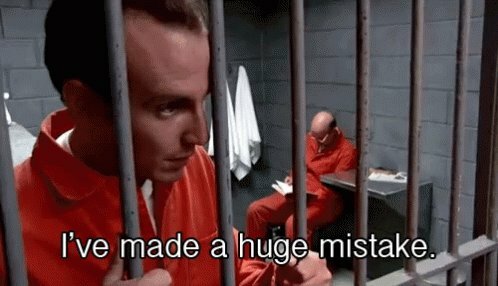 BREAKING: Exclusive interview with Michael Avenatti from his jail cell. 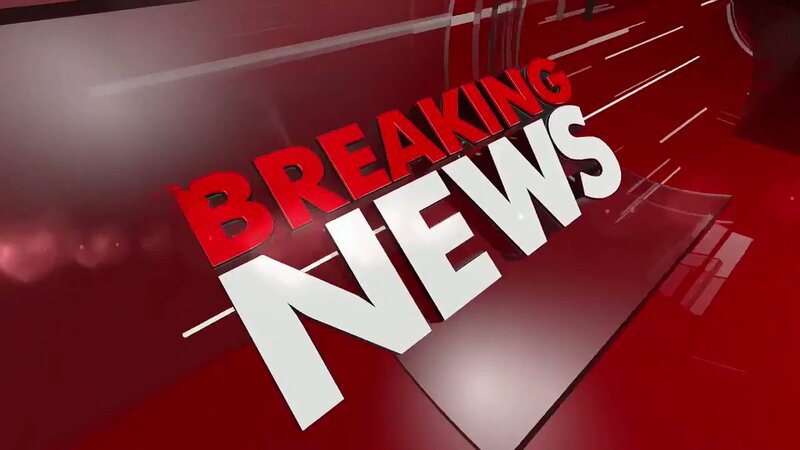 BREAKING NEWS: The Mueller investigation found NO EVIDENCE that anyone associated to President Trump or his campaign conspired or collided with the Russian government in the 2016 Presidential election. This is undeniably HUGE for President @realDonaldTrump. A summary of the Mueller report says there are ZERO sealed indictments and found ZERO evidence of collusion! The Barr Summary of the Mueller report also states that both Barr and Rosenstein found President Trump did NOT obstruct justice. Not one indictment for Trump collusion with Russia. Man the left has to feel duped by the media, their political "influencers" and their party. Watch how they spin the Mueller report. The same pundits who’ve called Trump stupid for 3 years are gonna try to tell viewers that there was collusion but it was so sneaky that Mueller couldn’t charge him for it. If we follow the logic of journalists & pundits who’ve called Trump stupid for 3 years you realize the guy they call stupid won the Presidency against all odds and supposedly colluded with Russia in such a masterful way that a team of expert investigators couldn’t figure it out. The Mueller report has been delivered to Attorney General Barr. I repeat the Mueller Investigation is coming to an end and he’s delivered his report to the Attorney General. Can’t wait to see the excuses when Trump is not charged. CNN & MSNBC made fools of themselves. Think of the Maddow Russian conspiracy segments. The ink spilled by leftists. The clicks. Proclamations Trump would be arrested. The cult of Mueller believers who *knew* he’d throw the Trump’s in jail. In the end, there’s gonna be no collusion. I actually feel bad for them. 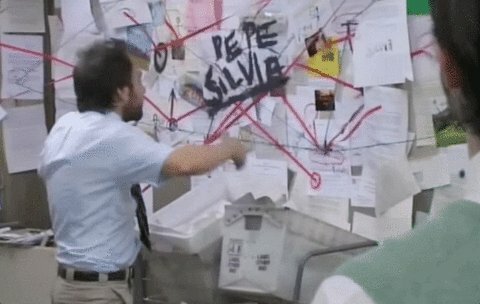 CNN & MSNBC when the news starts breaking that the Mueller Report shows no Trump + Russia collusion and reveals their Russian boogeyman narrative has been BS for the past 2 years. Robert Francis "Beto" O’Rourke was a member of a hacker group called "Cult of the Dead Cow." 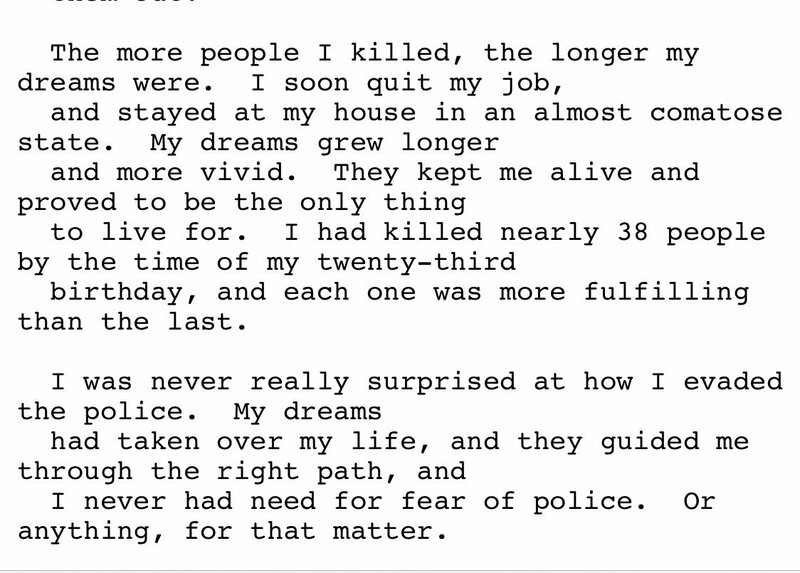 Beto O’Rourke wrote a short story years ago called "Visions from the Last Crusade" that fantasizes about murdering 38 people including CHILDREN by running them over. Reminder that he’s been arrested for DUI before. This is disgusting. Every line of this is incredibly disturbing. 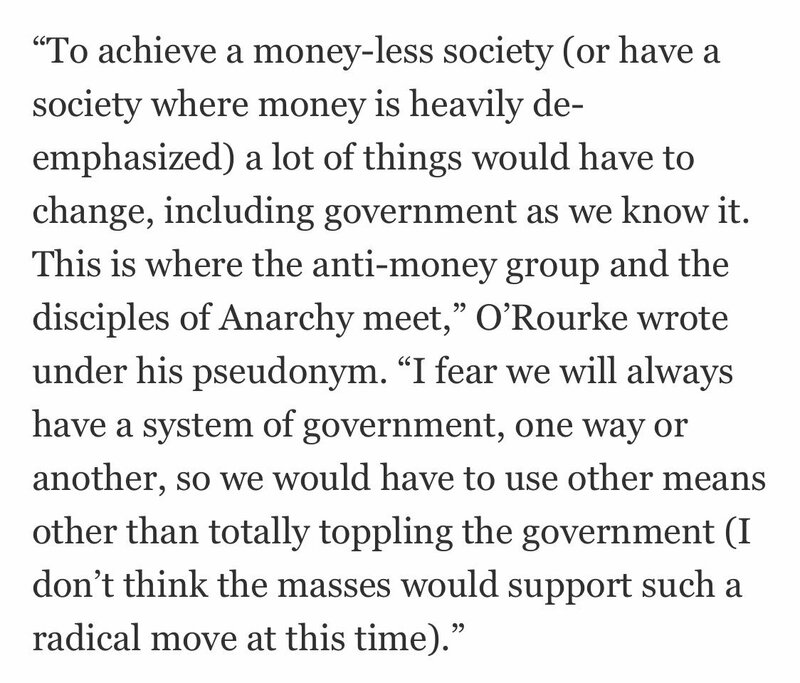 Another excerpt from @BetoORourke’s writing years ago muses about "totally toppling the government" and laments that the masses wouldn’t support such a radical anarchy driven ideology. I see hate & requests for censorship of people like @jordanbpeterson @pewdiepie @RealCandaceO @SamHarrisOrg @benshapiro & @Imamofpeace. Some of them haven’t ever talked about Islam, the others engaged in criticism. Criticism is corrective, not hateful. None advocate violence. You can simultaneously believe that the hijab has a deeply oppressive history or that segments of Islam need the reforms @Imamofpeace advocates for AND believe in standing up for a woman wearing a hijab if hate is directed at her + protecting Muslims from violence. Even the ones who have criticized parts of Islam recognize that now is not the time for it. It’s not empathetic or kind. Right now the focus should be on the victims & their families. It’s sad some seek to blame innocent people for the disgusting actions of a monstrous terrorist. My guess is 100 percent of the people who do want a socialist have zero idea what socialism actually means. What more do you need to know about elected Democrats than the fact they scheduled Michael Cohen’s public hearing for the same day President Trump is trying to broker a peace deal with North Korea? They’d rather undermine our national security than see him get a good deal done. This whole Michael Cohen hearing is a farce of epic proportions. It exists solely to squeeze hate out of a jilted, broken, dishonest man who’s trying to make life more comfortable for his family. The President did make a big mistake and it was hiring Michael Cohen. It’s kind of amazing that Michael Cohen couldn’t get through this hearing without lying to Congress again. He’s explicitly lied at least twice today in a manner that can be proven beyond a reasonable doubt. Now he admits he is pursuing a book and movie deal off of this. Insanity. Bernie Sanders, Elizabeth Warren, Kirsten Gillibrand, Cory Booker, Amy Klobuchar & Kamala Harris all just voted NO on a bill requiring medical care for babies who survive abortion. They all vote to let newborn babies suffer & die. This is who Democrats are running for President. Harris, Sanders, Warren, Gillibrand, Booker and Klobuchar voting against medical care for babies who survive abortion is the definition of evil. Not providing medical care for a baby born alive after a failed abortion isn't "my body, my choice", it's the murder of a human being. The same elected Democrats who tell us that a wall on our southern border is immoral just voted NO on a bill that requires newborn babies receive medical care after surviving an abortion. They voted against providing care to infants. Insane. Totally and utterly insane. Children: "I hear what you’re saying but we’re the people who voted for you"
Feinstein: "How old are you?" The funny yet terrifying thing about the Feinstein vs. kids video is that most of the Senate if not all of them know that the Green New Deal is a disaster but the Dems created this progressive socialist Frankenstein. Now that it’s mutated & escaped the lab they’re afraid of it. Since the Democrats progressive Frankenstein broke out of the lab and mutated they’ve become so terrified that they see capitulation as the only option. 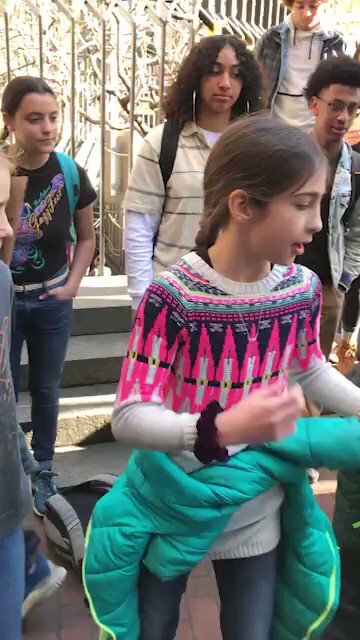 The Feinstein vs. kids video is a rare time you’ll see a challenge despite the fact Frankenstein’s ideas would destroy America. R. Kelly has been charged in Cook County with 10 counts of aggravated criminal sexual abuse. His victims range in ages from 13-16 years old. More sexual abuse charges in New York are also expected soon. One of the most disturbing things about the R. Kelly situation is how many celebrities chose to work with him after he escaped justice in the pee tape case and how many people still bought his albums or went to his shows even though they knew he pee’d on young girls. 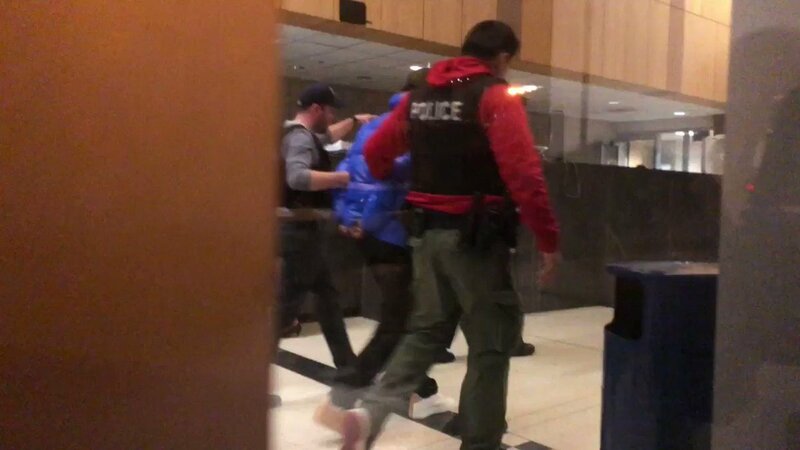 R. Kelly got perp walked through the police station in Chicago. 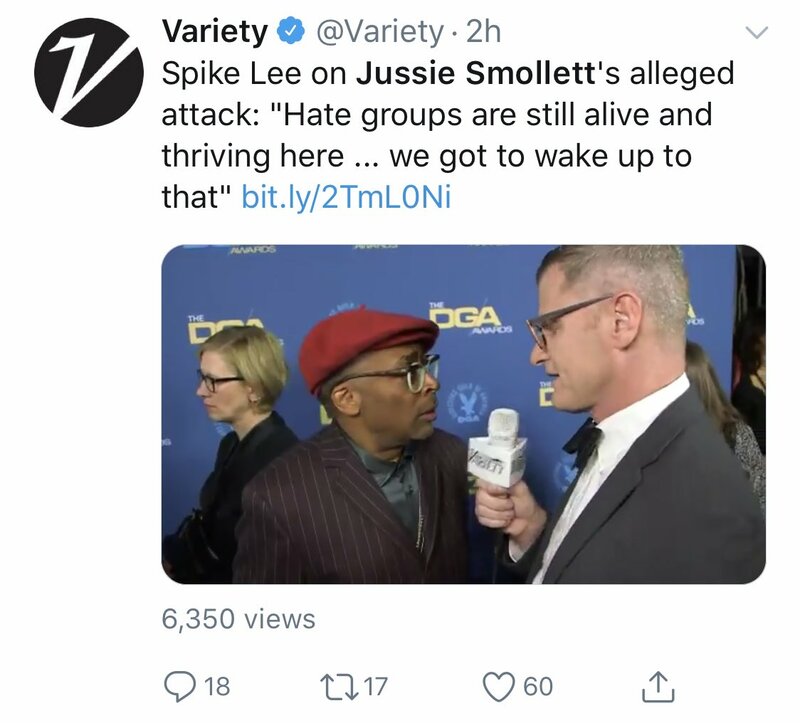 Maybe him and Jussie Smollett can share a cell. I’ll add later to this thread, send the worst examples & I’ll include those when I have time later. 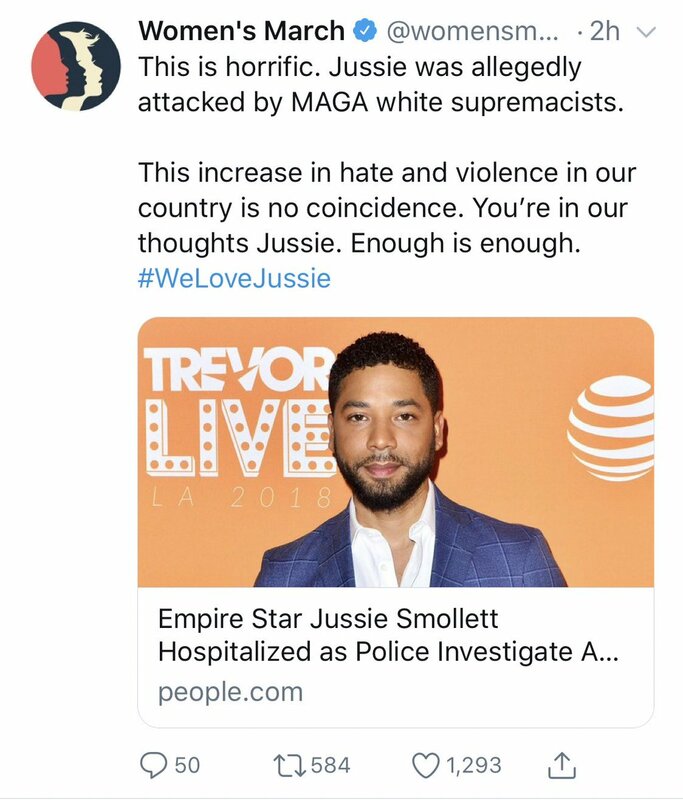 For now all that’s been confirmed by multiple reporters is his "attackers" are not white MAGA Guys, they’re Nigerian actors from Empire & caution only @ABC7 says Jussie staged it. Hi @oliviamunn Chicago PD currently have 2 Nigerian actors who appeared on Empire being questioned. Would you like to retract this and wait until there is a conclusive resolution? 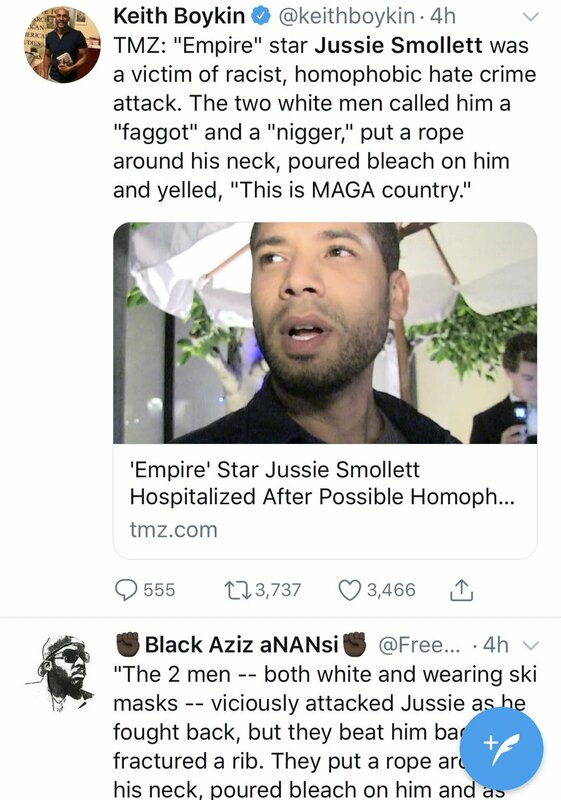 Even if @ABC7 is wrong and Jussie is in fact the victim, the perpetrators are not white MAGA guys. A collection of all the irresponsible celebrities & politicians who shared Jussie Smollett’s allegation that he was brutally beaten by Trump voters screaming at him that "THIS IS MAGA COUNTRY". I won’t hold my breathe for their apologies. 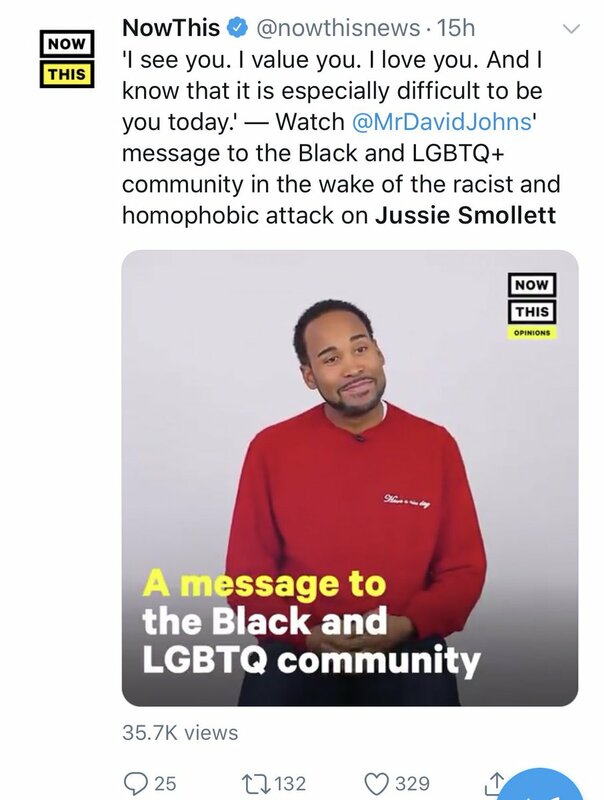 Hi @AOC do you have a retraction to make now that the Jussie Smollett story is falling apart? Should you wait to make declarations about racism and homophobia until the facts are clear? You were wrong. 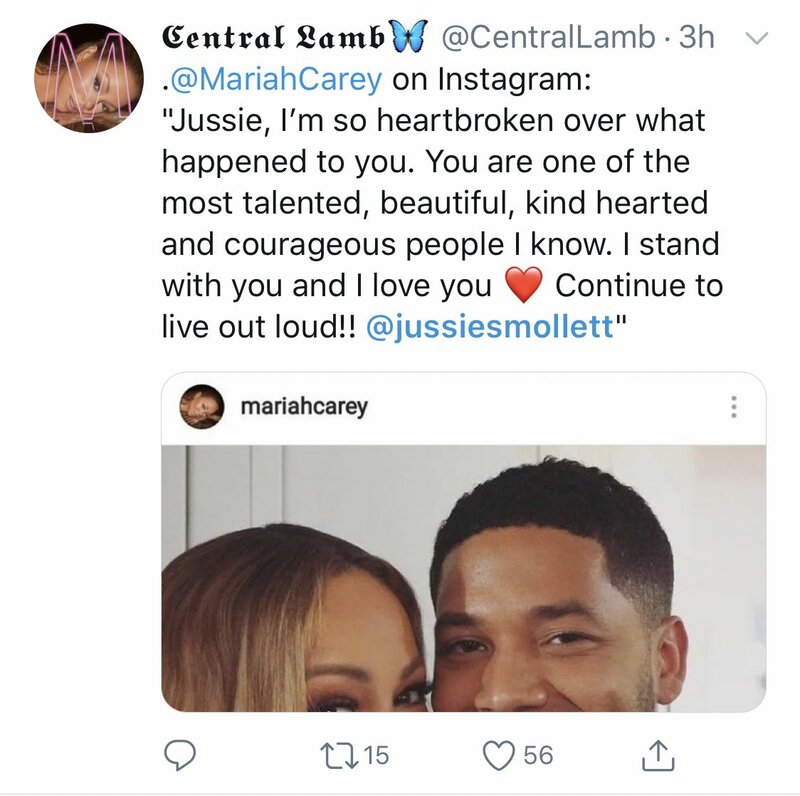 Jussie Smollett update: Chicago PD are interviewing "persons of interest" today and it does NOT sound like it’s MAGA guys that they’re questioning. McCabe is clearly doing interviews to get in front of something that’s very damaging to himself & the FBI/DOJ. Couldn’t be more obvious. McCabe is pretending he was so concerned by Comey being fired that he conspired with DOJ/FBI officials to take down the President. He says Rosenstein was one of the men he conspired with after Comey’s firing. If in fact Rosenstein was conspiring with McCabe to take down President Trump then his recommendation to fire Comey was a trap. If he didn’t conspire with McCabe as McCabe suggests then he genuinely did feel that firing Comey was the right thing. Someone is lying. Maybe both? Ed — This is called a backfire. You’re admitting you sponsored a bill you didn’t want a vote on. 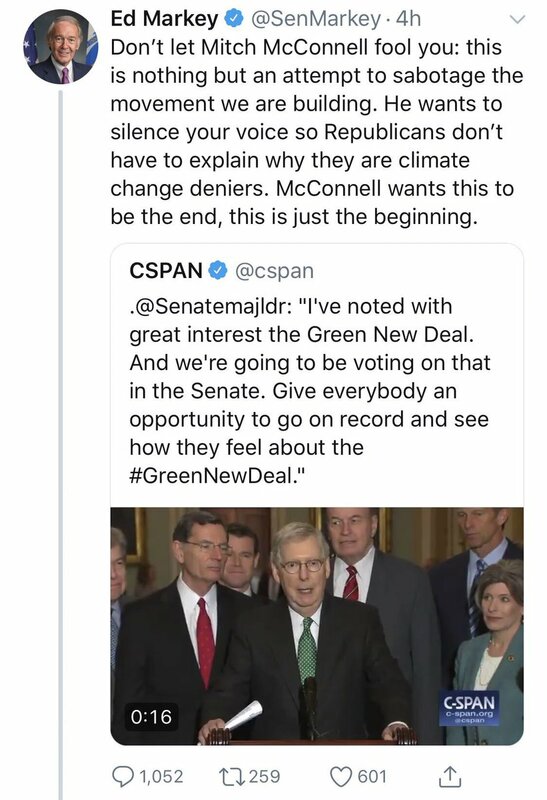 Now you and all your friends have to go on record voting for the Green New Deal monstrosity that would destroy our country OR admit you’re hypocrites. 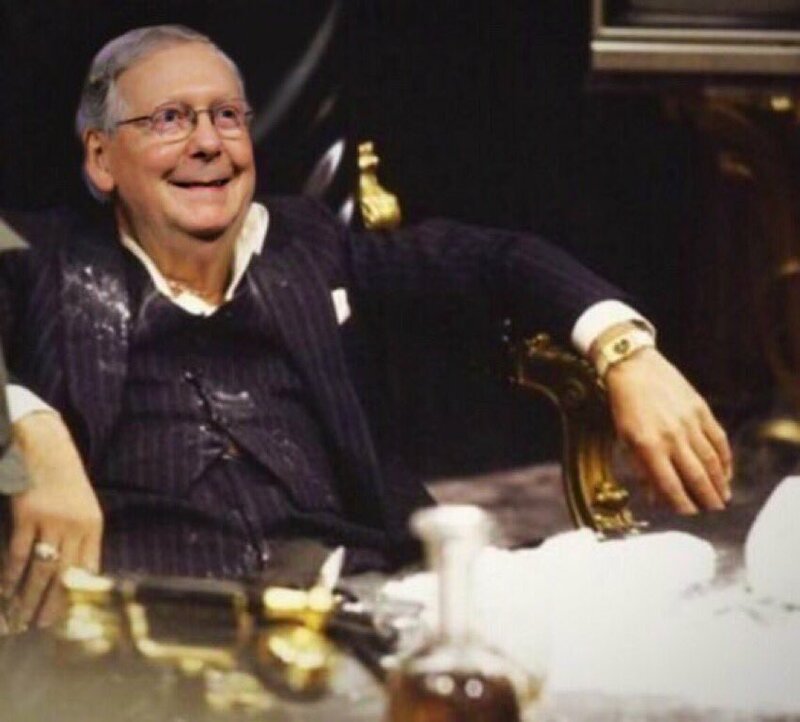 Mitch McConnell is undefeated. Worker: "I’ve written a proposal to create a new product that will save the company & give all of us PONIES, RAINBOWS and UNTOLD RICHES!" CEO: "Alright, let’s have the board vote on it!" Seriously @EdMarkey do you realize how crazy you sound? Breaking News on @MSNBC: Senate Democrats agree that the bipartisan Senate Intelligence investigation found NO COLLUSION between @realDonaldTrump and Russia. BREAKING NOW: @MSNBC is reporting Senate Democrats say they’ve found no evidence of any collusion between Trump/Russia. In related news: Hell has frozen over. As he was saying this Democrats in D.C. were agreeing to a portion of border wall funding. Democrats don’t actually believe this stuff, it’s all talking points. They know walls work. People lie, numbers don’t. Texas Senate loser @BetoORourke said tonight that walls end lives. So what’s his inevitable nickname? 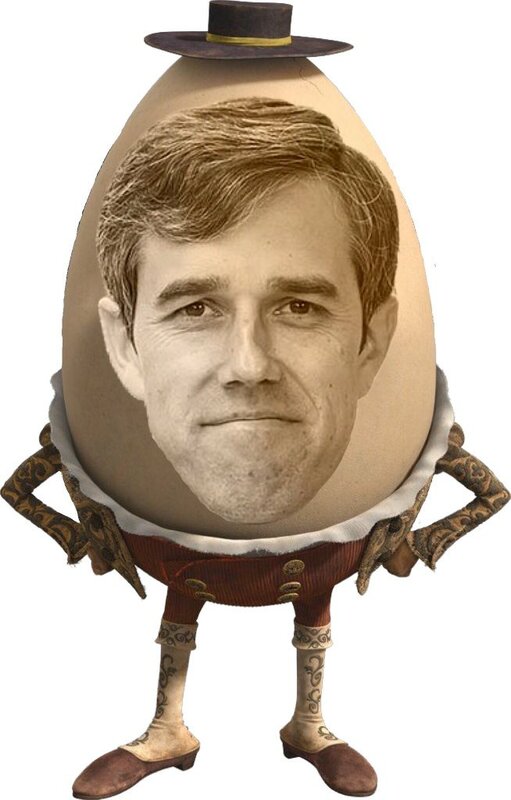 I’m partial to Beto Dumpty. The idea that walls kill people is so ridiculous it deserves a ridiculous nickname. I hope elected Democrats in New York are proud today. 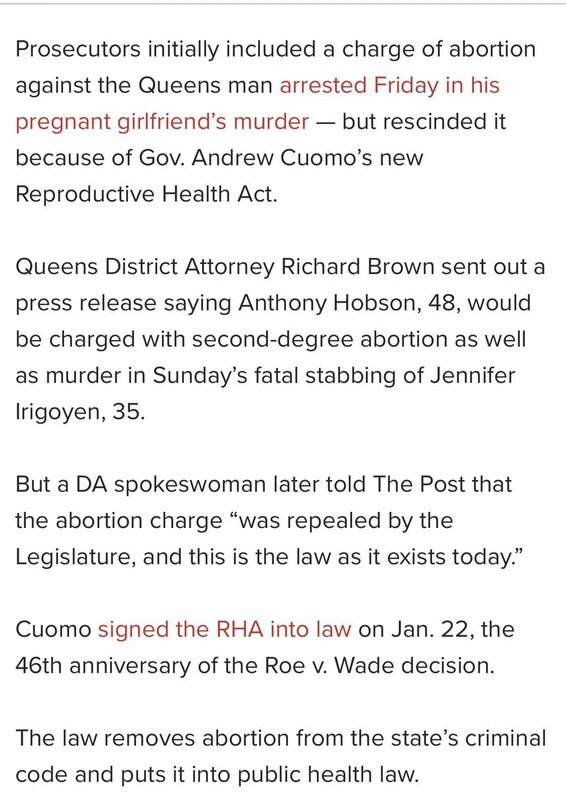 Their so called "Reproductive Health Act" has now alllowed a man to stab the unborn child in a woman’s stomach to death and NOT be charged for killing the baby. @andrewcuomo should be ashamed. This law is a license to kill. This story is a lesson to everyone. Democrats love to change language and manipulate voters with clever linguistic tricks. 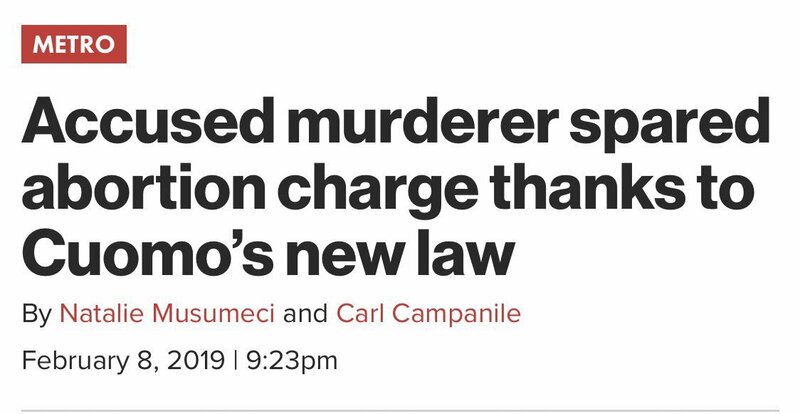 You wouldn’t expect a bill called the "Reproductive Health Act" to allow men to stab babies to death without consequence but that’s what it does.